The effects of Crab shell on plants in improving health & improve plants resistance towards various diseases fungus,nematodes is well known even though Crab shell is not a fungicide or nematocide. It's a great fertilizer with vital minerals nutrients,polysaccharides & proteins in it & hence offer extra benefits not found in other fertilizer products. Crab shell is when added to the soil, helps to create a hostile environment for the fungus and root destroying nematodes by feeding the biological life that eats crab shell polysaccharide & proteins. The polysachharides in the crabshell stimulates soil organisms makes it a natural biopesticide that is non-toxic to birds, animals, fish, and plants. Application : BioBoost is mainly used in agricultural crops, fruit trees, landscaping, gardening, pastures, grains and horticultural crops, etc. 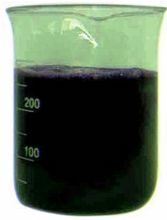 Foliar Application : 2 ml per Ltr & 300 ml per acre in 150 Ltr water. Application Time : 3 to 4 foliar sprays , During vegetative stage, Before flowering,When flowers are set,when fruits are small & are in development stage. Soil /Drip Root Irrigation : 500-600 ml /acre . Min 2 times. Application Time : During vegetative stage, When flowers are set. Dilution Rates : Root /Drip irrigation: 1: 1200-1500. Availability : BioBoost CrabShell ,Seakelp based Biostimulant Fertilizr is available in 200 Ltr Drums.